Opps..I was talking bout breakfast, didn't I? How did I drift away so far, from something related to food to something ....? OK, here's breakfast. Baguette is their regular bread here due to some French influence since the war. However, it would be nice with lil touch of salt. The one in Hanoi is relatively bland to the ones in Malaysia. In fact, it's agreed upon by some Europeans that it should be a lil salty. Each of us got one. What you see here is only half of it, it's quite big. On my last breakfast, I just remembered I hadn't taken a pic of it throughout my stay in Hanoi and so I took this before leaving for the airport on my return flight to KL. That longish watermelon is called Blacklady back home if I'm not mistaken. 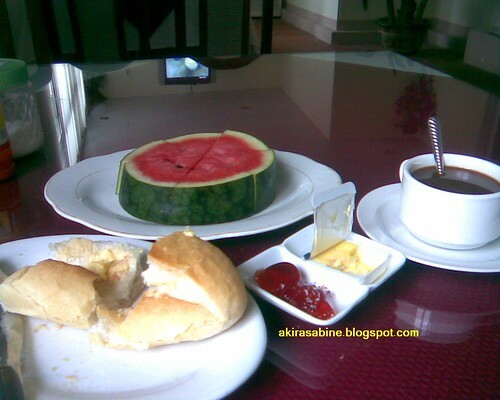 Breakfast was served with their coffee which is a hit among foreigners. It's black and nice as it comes with a subtle fragrance which I haven't found in Malaysia's. 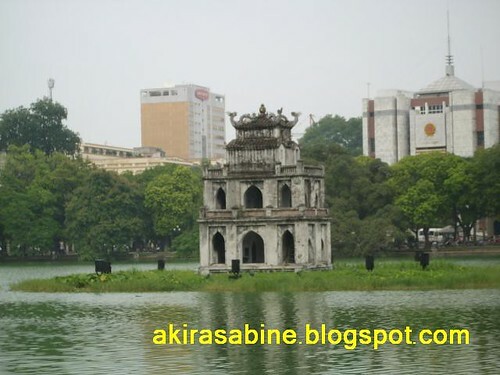 This small building is smacked right in the middle of the Hoan Kiem Lake at Old Quarters thus making it the focus of every photographers. This lake was the landmark I tried to return to everytime I lost my way wandering the busy Hanoi streets. This was my first taste of Vietnamese food. Had this for lunch after checking into my hostel. Does it look delicious to you? It was a generous serving of noodles and and grilled porks(I'm not sure, could be beef too) in soup. I am just not used to eating meat anymore and that's a lot of it here. The thing which kept me worried most was the soup was not hot. I might have added too much of the syrup with the pickled chilli into the soup that made it sweet too. The raw veggie comprised of bean sprouts, mints leaves and some other leaves foreign to me. How to eat them? Dip in the not so hot sweet soup and put in the mouth. Don't know if the expression on my face gave me away. *LoL* Where did I sit? Look there, that's my seat and my "Bun Cha". 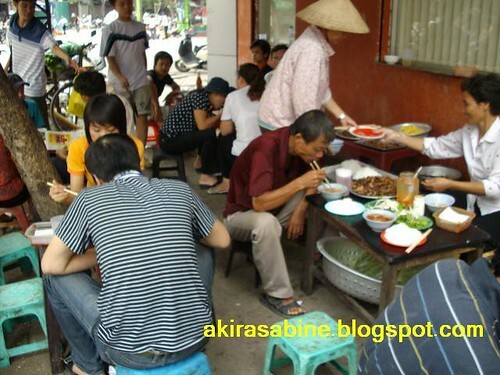 Yeap, I tried the street food, basically that's where majority of the locals have their meals outside. Low chairs, street side and your music are the passing-by motorbikes and motocars honkings. Travelling is experiencing new things, don't you think so? And this was the first thing I tried. Then, I was talked into getting a cyclo ride. It's some kinda tricycle, just that the rider cycles behind the passenger's seat. "How much are you charging per hour?" I asked. "Up to you." That's the constant answer from this 22 year old youth(who apparently guessed I was 20, *LoL*). So, I went sightseeing Old Quarters on the cyclo , kept up with a light chat with him, tried changing roles and clarifying some Viet vocabs. I've thought we agreed with 2 USD which means I'd get some change for my VND 50,000(1USD = 16,000VND). However, he came up with antics that he had no change and I might consider the rest as tips. I wasn't really happy and in the end got VND 10k in return. That's about RM2. Lesson learnt, ask for your change before you hand over your money which I did later in my trip with motortaxi riders and even lady hawkers. Didn't feel good about it though, to me, it's kinda rude. 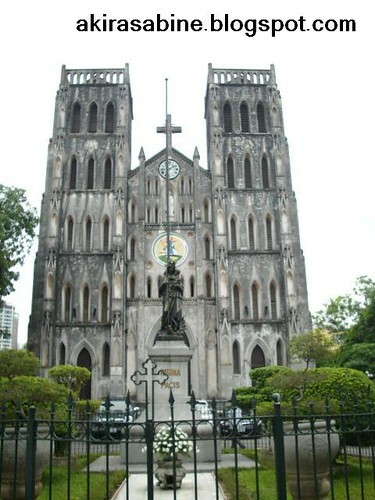 Do you know where Vietnamese carry out their sporting activities? 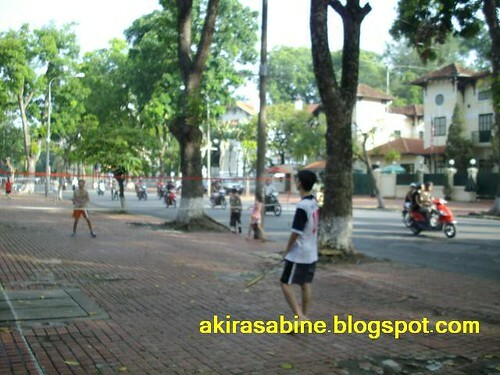 Don't play play, one can even play badminton on a walkway by a street. Do not stereotype this to only children as next to them, there were a group of adults playing double matches. I even saw a group of youths playing roadside football. How dangerous it is to them and road users. 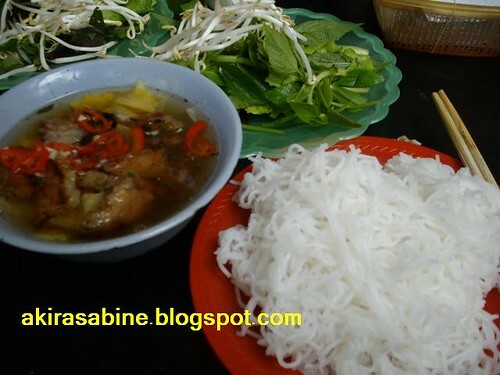 Bia Hoi is popular among foreigners and locals alike. 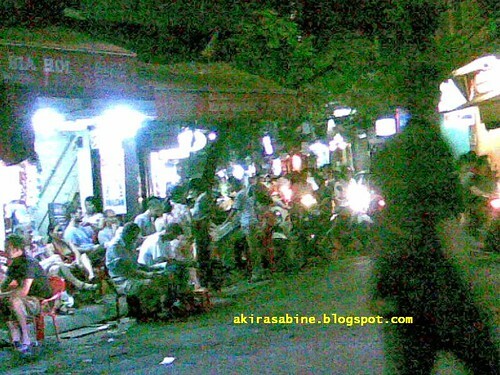 The picture above shows more foreigners than locals having a good time by the busy street chatting away(I'm not sure if they are disturbed by the traffic). 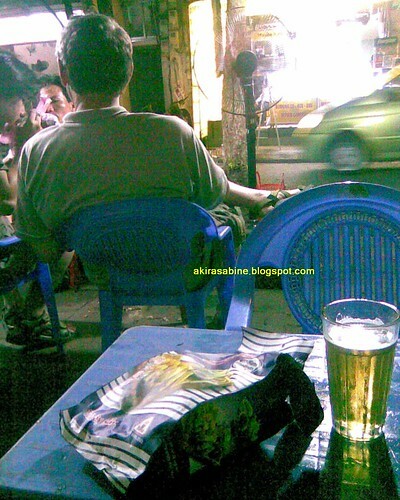 Locals most probably knew better places to enjoy their Bia Hoi away from this crowd. Bia Hoi here costs as low as 3,000 VND (RM0.60) which was definitely cheaper than an iced coffee I had for 10,000 VND. Being a curious traveller, I took the opportunity to taste a glass with a packet of the local fruit chips which I love so much. I'm not a drinker and thus it was really difficult to swallow, I took in sip by sip alternating with some naturally sweet banana/jackfruit/yam chips. Luckily, I managed to walked back to my hostel safely that evening, though a lil dizzy.